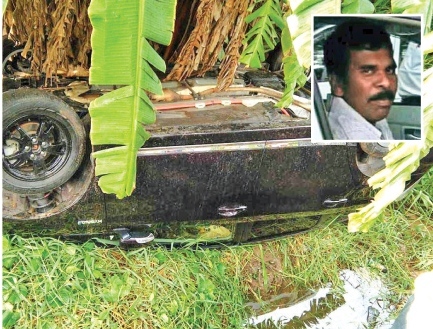 A deputy school principal died in a car -motorcycle crash at Katiyawa junction, Eppawala on November 3 night. He was identified as D.B. Chandraratne, 54, a father of two of Edagala, Mihindupura and deputy principal of Sri Siddhartha Madya Maha Vidyalaya, Eppawala. 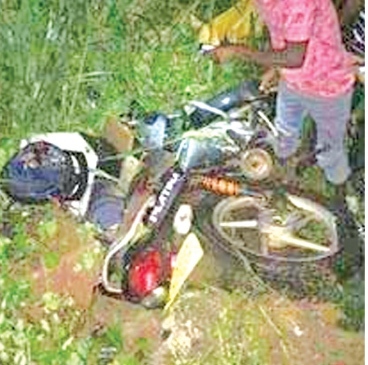 Chandraratne was going on his motorcycle to fetch his child from a tuition class when the head on accident occurred around 9.00 p.m. Although he was rushed to the Eppawala Hospital, he succumbed to his injuries on admission. The car involved had skidded off the road following the accident and toppled causing minor injuries to the driver who was arrested by Eppawala Police.